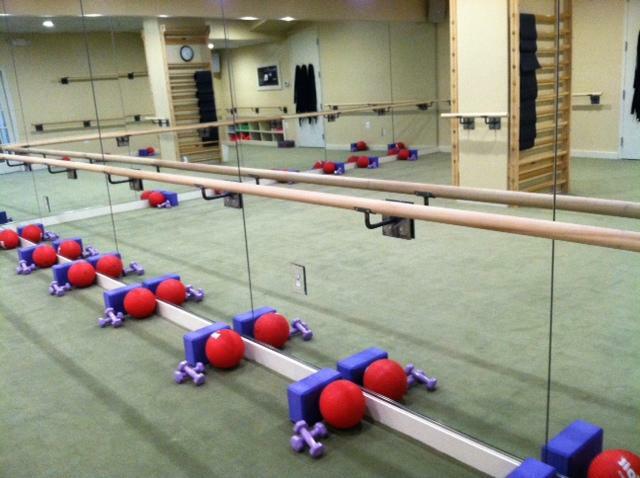 Go Figure - Potomac, is Metro DC's first dedicated ballet barre studio, and home to The Figure Method™. The Figure regimen is a hybrid based on the principles of ballet, yoga, pilates and orthopedic exercises. Muscle groups are shaped through slow, sustained movements and are then intensely stretched to avoid building bulk. The results are great posture, tremendous flexibility and long lean muscles. Participants work on a padded floor and with a ballet barre using their own body for resistance (there is no heavy lifting or use of machines). Light hand weights are used to sculpt and tone the arms, back and shoulders. Exercises are non-impact and gentle on joints. 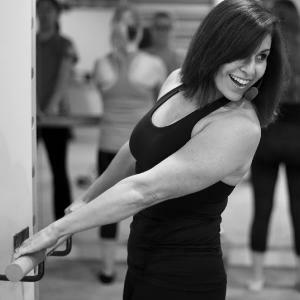 This hour-long class has been designed with a strong emphasis on posture and overall health of the back. Individuals work at their own pace to dramatically re-shape their body in a safe, yet challenging manner. * Please call to make a class reservation, class size is limited. * We accept standing reservations. * Please note we have a one hour cancellations policy. * Suggested attire is athletic pants with t-shirt or tank top. * Socks are required, no shoes are permitted in the studio. minutes after class has started. * Please make sure to turn off all cell phones and beepers.